Tudor Place House and Garden in Washington, D.C.
Tudor Place Historic House and Garden, a five-acre estate built in 1816, is one of the hidden gems in Washington, D.C. 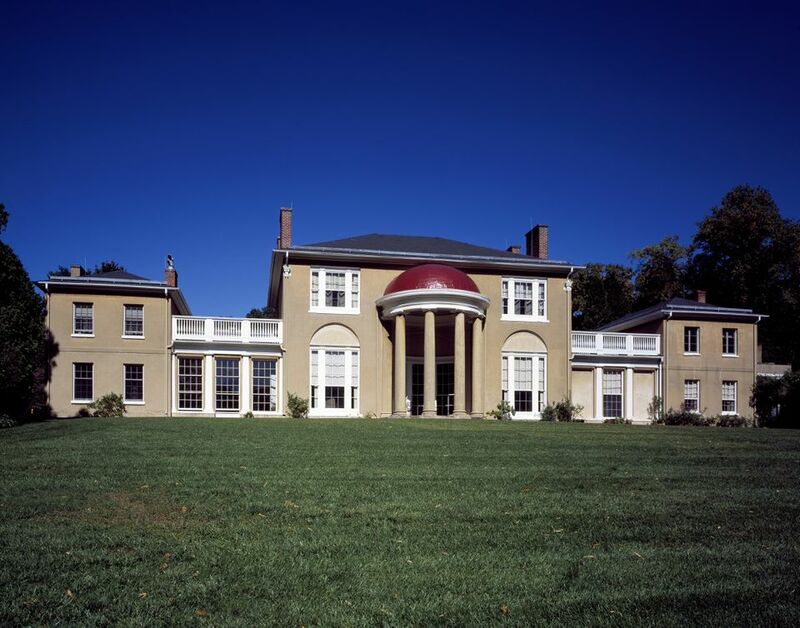 Located in Georgetown's Historic District, this National Historic Landmark was originally owned by Martha Custis Peter, the granddaughter of Martha Washington, and housed six generations of the Peter family over the course of 180 years. Now, open to the public, Tudor Place is a fine example of neoclassical architecture with a distinguished collection of decorative arts and a beautifully landscaped garden. The Tudor Place collection includes more than 15,000 objects from 1750–1983, including silver, ceramics, jewelry, paintings, drawings, sculpture, photographs, ​manuscripts, and furniture. The early-19th-century style garden features a Bowling Green, Tennis Lawn, Flower Knot, Boxwood Ellipse, Japanese Tea House, and Tulip Poplar. About 40 pieces of a Sèvres porcelain dinner and dessert service used at Mount Vernon. George Washington’s letter to Martha announcing his 1775 appointment to lead the Continental Army. A campstool Washington commissioned in 1776 for use during the Revolutionary War. Armistead Peter's 1895 book press. Ceremonial weaponry including a carved ivory dagger made in Japan and two swords used during the Mexican War. Walter Robertson’s portrait miniature of George Washington, which was painted in Philadelphia in 1794 for Martha Peter. Francis Scott Key's law desk. A unique square pianoforte with mahogany and satinwood frame made in 1804 by the English firm John Broadwood & Son. The Peter family's 1919 Pierce-Arrow Roadster (a custom-made car). The house is shown by guided tour only. The docents are very knowledgeable and there is a lot to see, so be sure to ask questions. Garden tours are self-guided. Group tours, Tea & Tour Packages, and special events are regularly scheduled. Special events include seasonal favorites for kids such as the Tudor Explorers Summer Camps and Tudor Tots. Adult programs focus on a variety of themes such as Tudor Nights, Guided Garden Tours, and Landmark Lectures. The estate is also available to rent for dinners, receptions, luncheons, and corporate events.